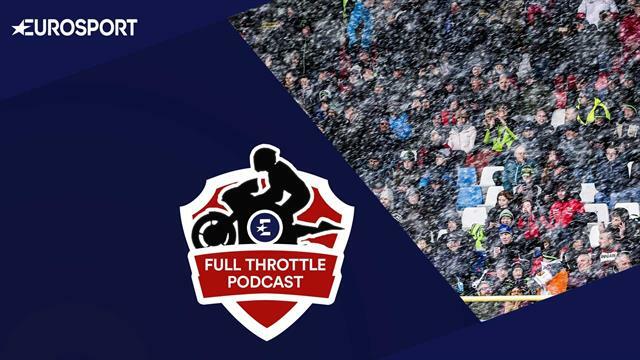 Greg Haines and James Whitham discuss the continued excellence of Alvaro Bautista, and Jonathan Rea’s attempts to close the gap after a snow-affected World Superbike weekend in Assen. And, of course, it is the first round of the British Superbikes at Silverstone this weekend, with the guys tipping their favourite and their rider to watch, plus much, much more. Episode 9: Why is Alvaro Bautista - or his bike - so dominant? Greg Haines and James Whitham discuss the dominance of Bautista and his Aruba Ducati team. Is he going to continue to take the sport by storm? Shane ‘Shakey’ Byrne, the six-time British Superbikes champion, believes there is no clear favourite to win the BSB title this year. He takes Greg Haines through all the major teams and their chances and updates us on his 'nightmare' rehab.